There are several reasons why hundreds and thousands of people have missing teeth. Although this could be very devastating because it ruins their confidence, there are immediate and affordable solutions that can give you a shot at getting back your perfect smile. One of them is denture. Whether you’ve lost all your teeth due to genetic disorder or accident or suffering from the embarrassment of having huge gaps in between your teeth, a denture might just be perfect for you. Dentures, compared to dental implants, are less expensive and they provide immediate solution. You don’t need to wait for months to prepare your gums to receive dentures. With this option, you can immediately have a full set of teeth that can help your bone to realign or while you’re waiting for your gums to heal. Aside from complete dentures, Tijuana dentists also offer partial dentures designed to replace a sting of missing teeth. This helps secure your remaining teeth in place with the help of clasps. Regardless of the type of denture that you need, we provide you with high-quality, natural-looking dentures that match not just your facial structure but also your preference when it comes to tooth color. However, the best news is that we do not charge a fortune for you to get the best dentures. At Samaritan International, we produce top-notch dentures using different materials including metal frame, flexite, Valplast, and acrylic. 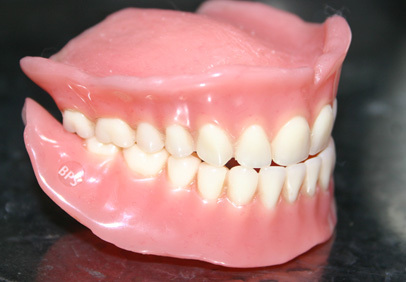 Price ranges from $280 to $460 per denture plate. When compared to the prices being charged by our American counterparts, you’ll realize that we are charging just 25% of their asking price. Although our prices are cheap, we guarantee world-class dentures and customer service. We also offer 100% customer guarantee. For more information or for obligation-free consultations, please do not hesitate to contact us today. We’ll be more than happy to help you in getting back that perfect smile without burning a hole in your pocket.